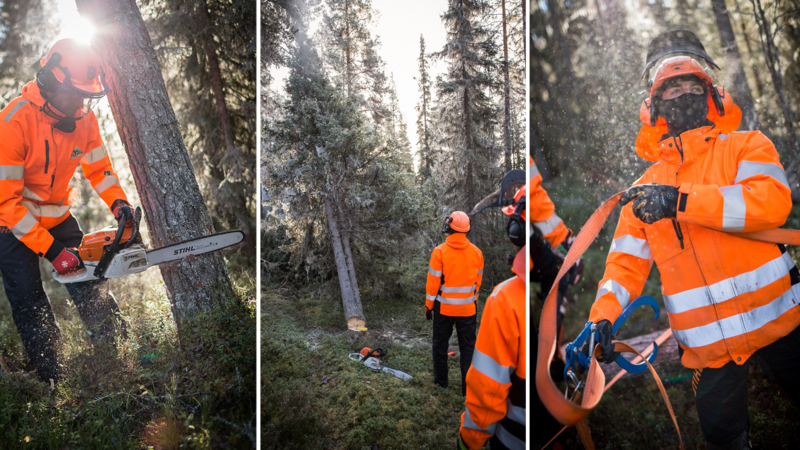 Tree felling and manual extraction of wood is risky work and demands accurancy and humility for the challenge. That is why all our experienced workers have chain saw licenses and other certficates such as first aid and CPR. We help both small and big forest owners with felling as well as small and big power line owners with obstructions around power grid infrastructure.